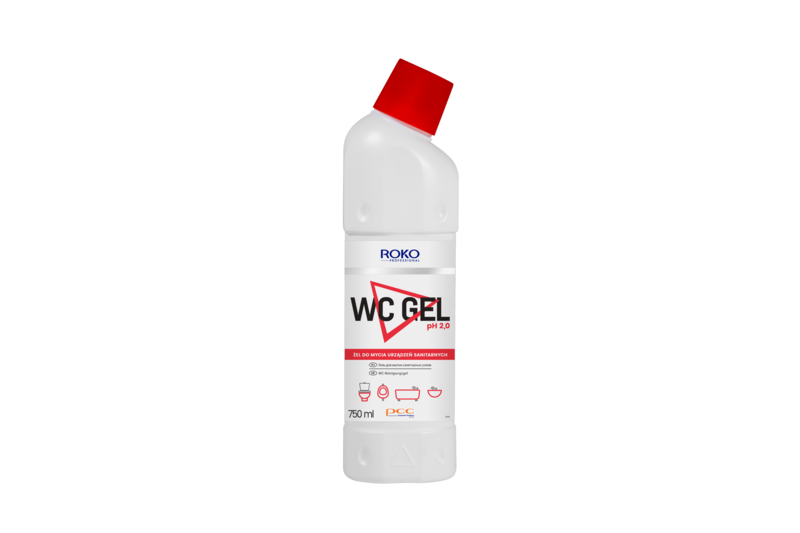 ROKO PROFESSIONAL WC GEL is a preparation intended for cleaning toilet bowls, urinals and other sanitary equipment made of ceramics. The thick gel sustains on the cleansed surface. Its dedicated composition of acids automatically removes any stains from toilet bowls and urinals. It prevents build-up of scale, rust, urine and other deposits of organic origin. It provides deodorising properties and leaves a long-lasting, pleasant fragrance on the cleaned surfaces. The product is intended for professional use. cleaning toilet washing toilet bowls washing urinals.